Golf greens currently contain surface thatch levels on average 60% higher than is desirable for optimal turf health and playability, according to the STRI. Some parkland courses were reported with more than 25% organic matter in the top 20mm, compared to a target of four to six percent. Even links courses were found to have up to 12% organic matter extending down to 40mm from the surface, with an average 7% in the top 20mm that is still 40% above the target level. The aim is to limit disease pressure as early as possible. Results have clearly shown that going into the winter with clean turf gives the greatest chance of coming out with clean surfaces and better playing conditions in the spring. The fludioxonil in Medallion TL is the only Contact+ active proven to target disease in the thatch and on the leaf surface. 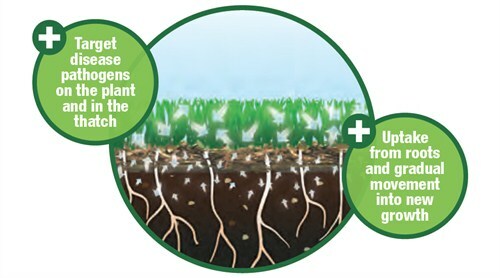 The long-lasting results give greenkeepers confidence and peace of mind that turf is safely protected through difficult conditions. 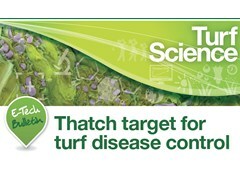 Loss of turf quality from disease attacks in the autumn has the most serious impact on playing surface performance for golfers, with little chance of recovery for many months. Turf loss now results in serious loss of income over the winter, and significantly increased cost of recovery and restoration in the spring.